Sycamore's Jordan Tolzin shoots the ball over Kaneland's Blake Feiza, front right, and Dan Franck, back, during their boys basketball regional final on Friday, Mar. 03, 2017 at Sycamore High School in Sycamore. 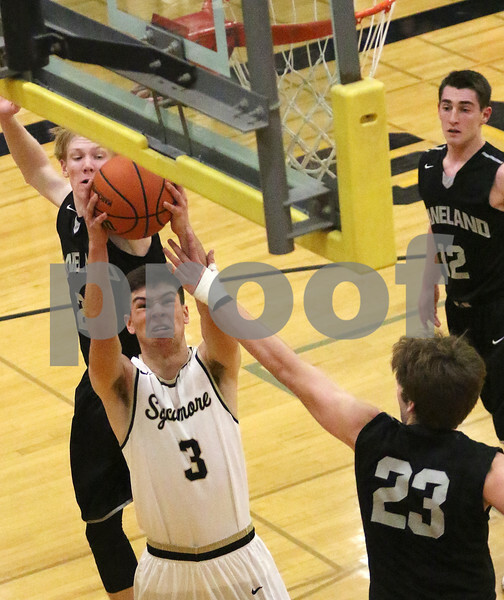 The Spartans of Sycamore beat the Kaneland Knights 37-36 in overtime.